WIN! The ultimate Fishing Weapon! 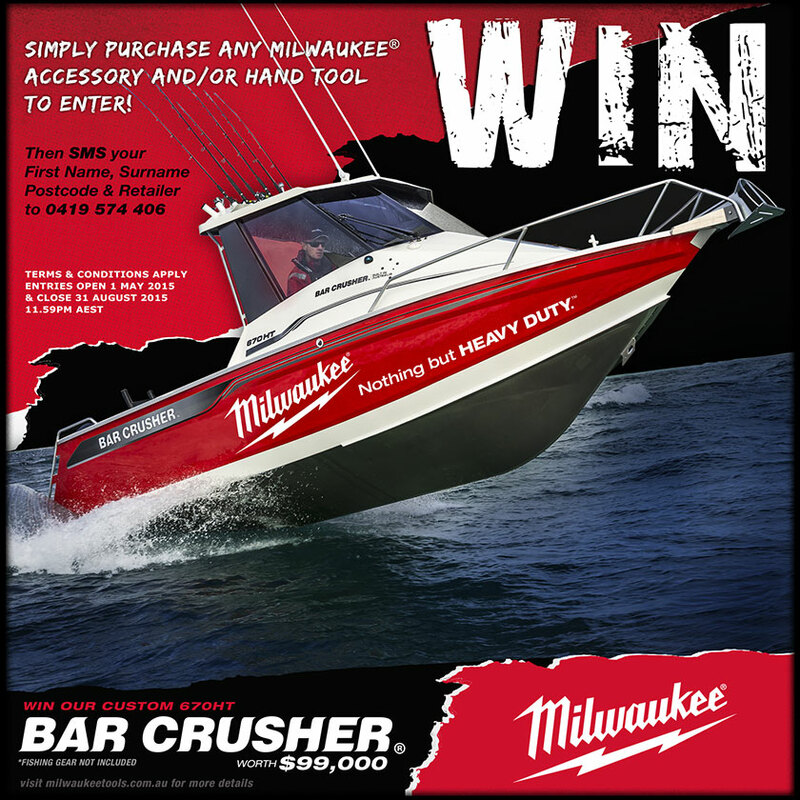 As the biggest giveaway we’ve ever been involved in, this is your chance to win a custom Milwaukee Bar Crusher 670HT! As a winner of Australia’s Greatest Boats, the 670HT is one of the most popular and versatile models in the hard top range… and an absolute Fishing Weapon! Want a chance to win it? Of course you do! Step 1: Simply purchase any Milwaukee accessory and/or hand tool. Step 2: SMS your first name; surname; postcode; and retailer’s name to 0419 574 406 during the promotional period (entries open 1 May 2015 to 31 August 2015). Meantime, if you want to see more, check this out!